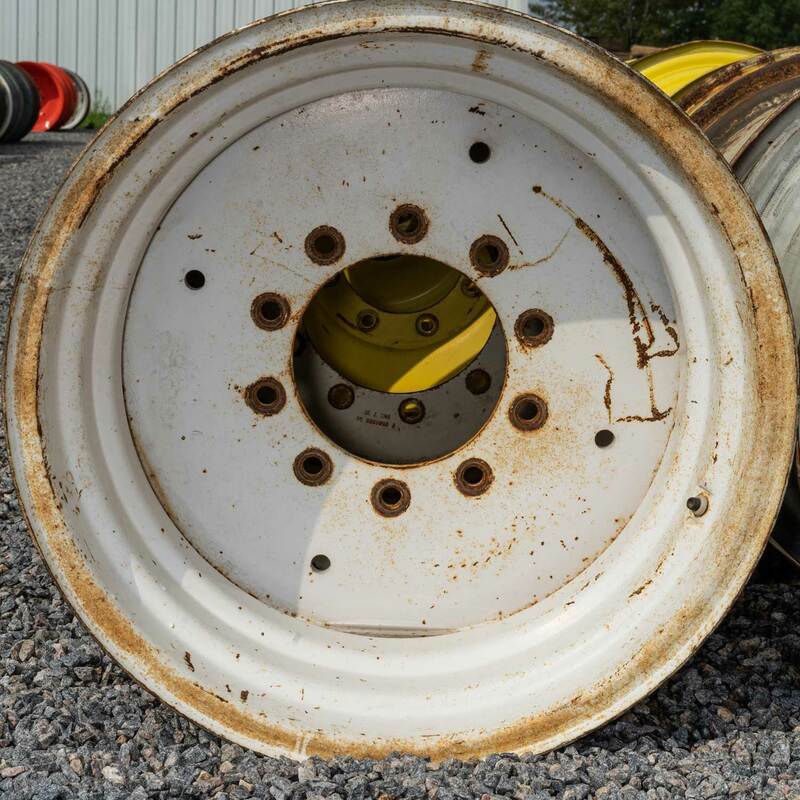 Add a tire-wheel assembly listing. 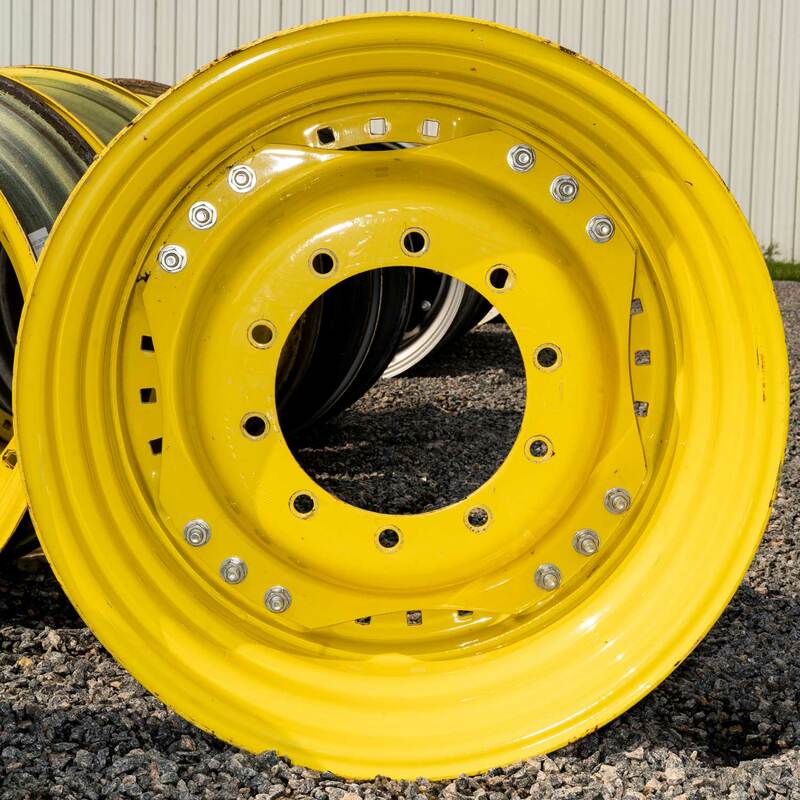 Complete the form below to have NTS Tire Supply sell your Ag, OTR, or construction tire-wheel assemblies. For more information, please contact us. Your product will be posted once our team has finished reviewing your information. Oops! Something went wrong while uploading your product. Please try again. 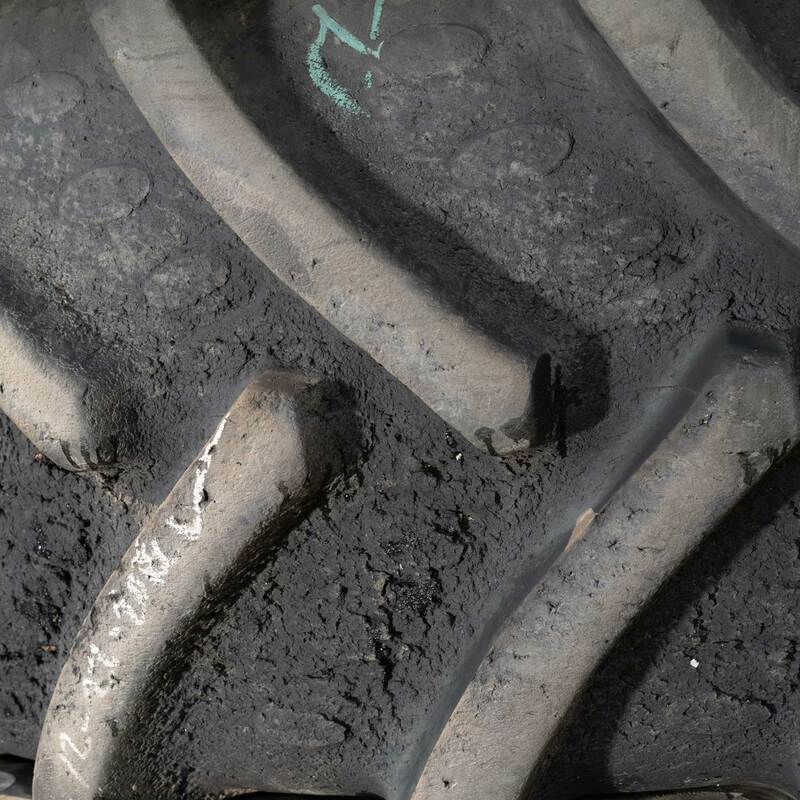 Tire has some signs of stubble pecking between the lugs that is hardly noticeable. Damage is strictly cosmetic. 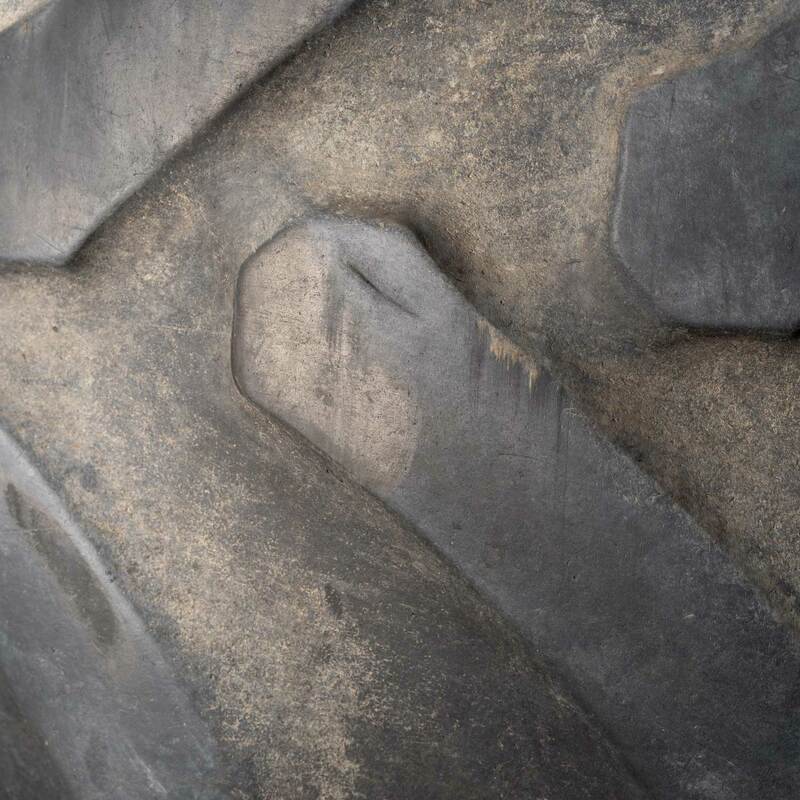 Tire has noticeable stubble pecking on the side of or between the lugs. 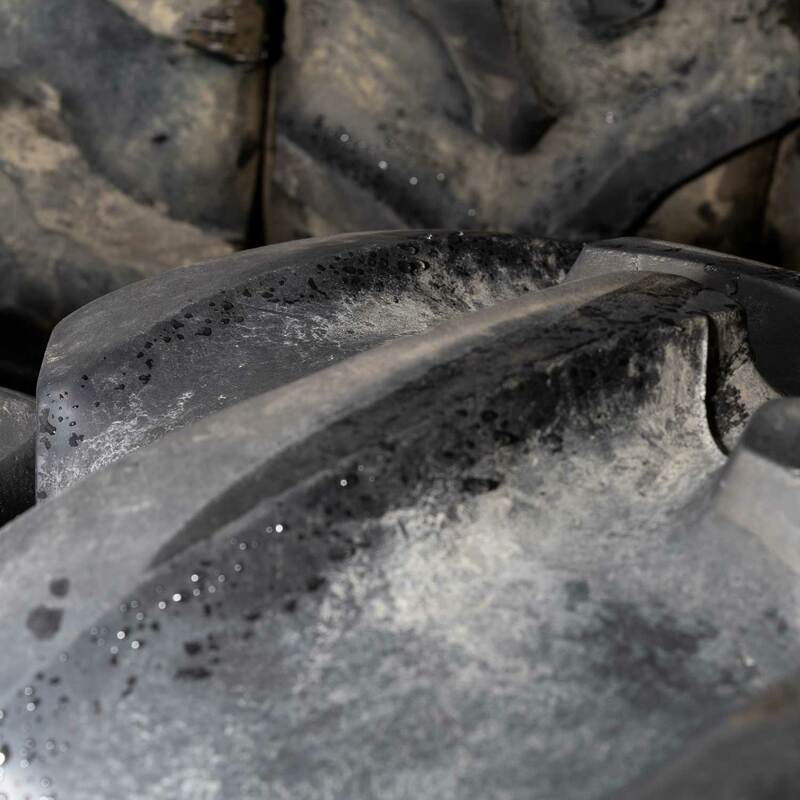 Cosmetic damage that does not affect tire performance. 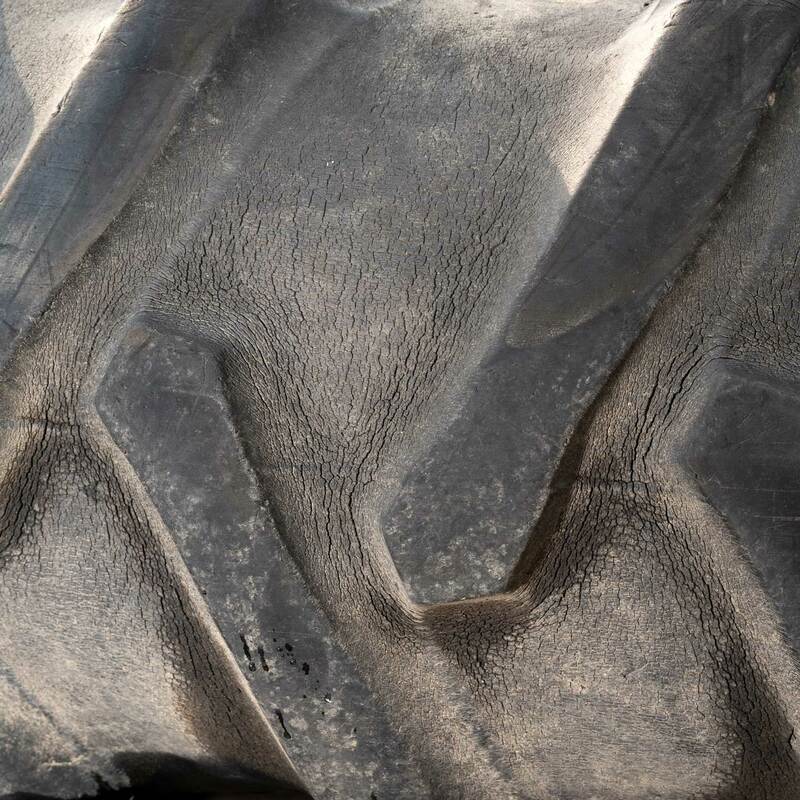 Tire has heavy stubble damage resulting in a rough-looking tire with heavy pitting on the casing. Not deep enough to affect the performance of the tire or to expose any cords. 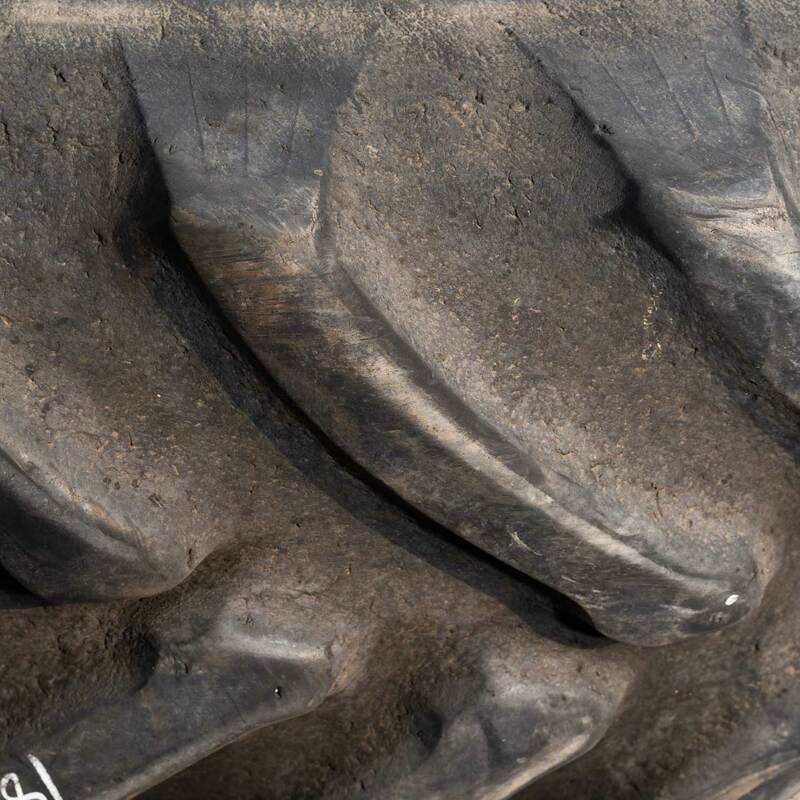 Tire has heavy stubble damage resulting in a rough-looking tire with heavy pitting on the casing. Deep enough to expose the cords and possibly cause the tire to leak air. 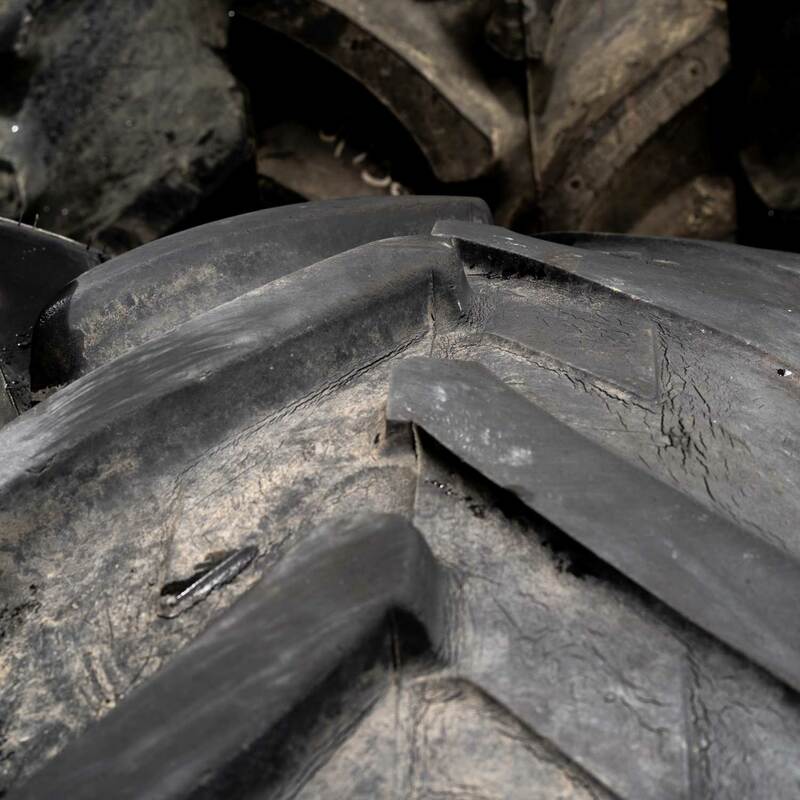 Tire has light signs of weathering or crazing on the face of the tire. 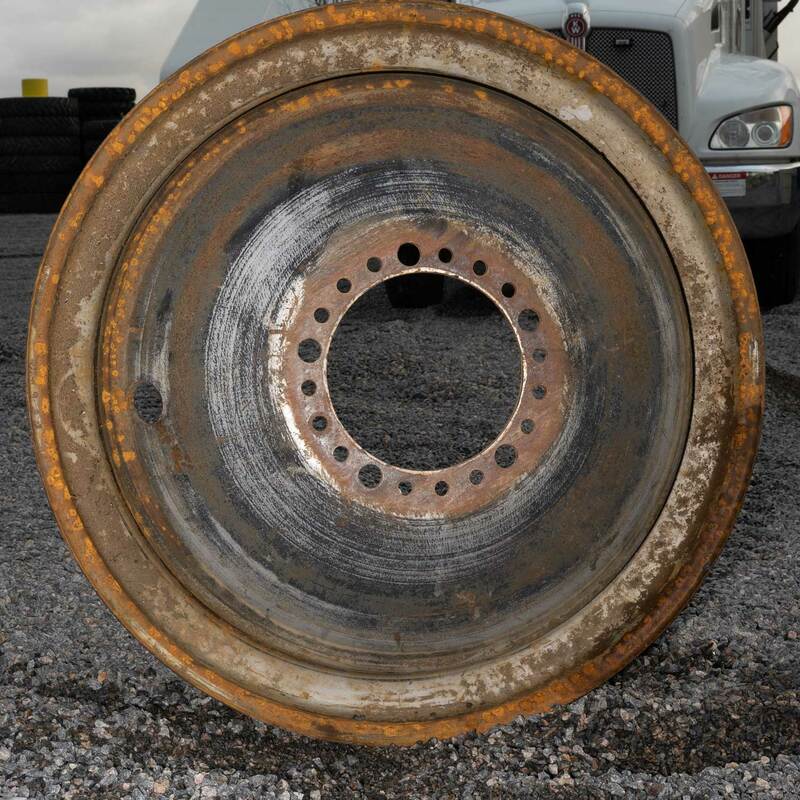 Tire has signs of weathering or crazing on the face or sidewall of the tire. Still a solid casing with no structural concerns. 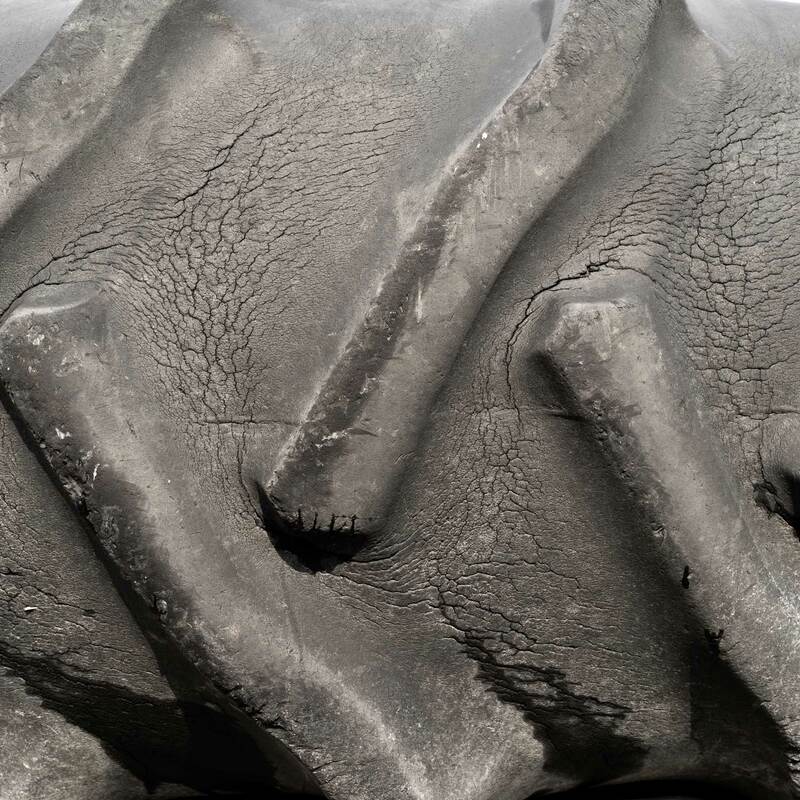 Tire has definite weathering on the face or sidewall of the tire. Some of the cracks on the face are fairly wide or deep but the sidewall casing is still solid. 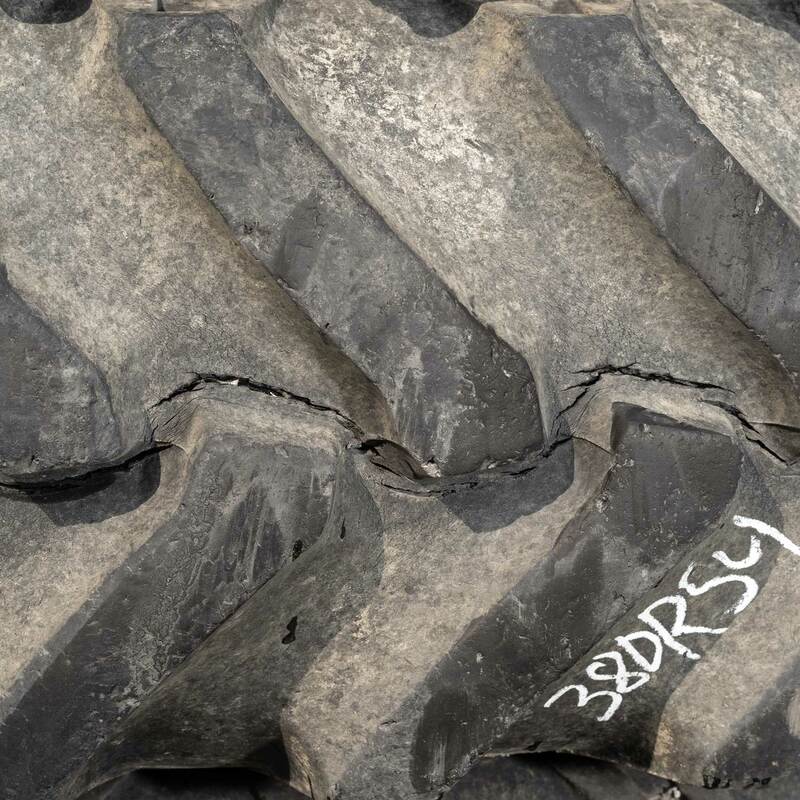 Tire has heavy to severe weathering on the face and sidewall which is potentially compromising to the strength of the casing. 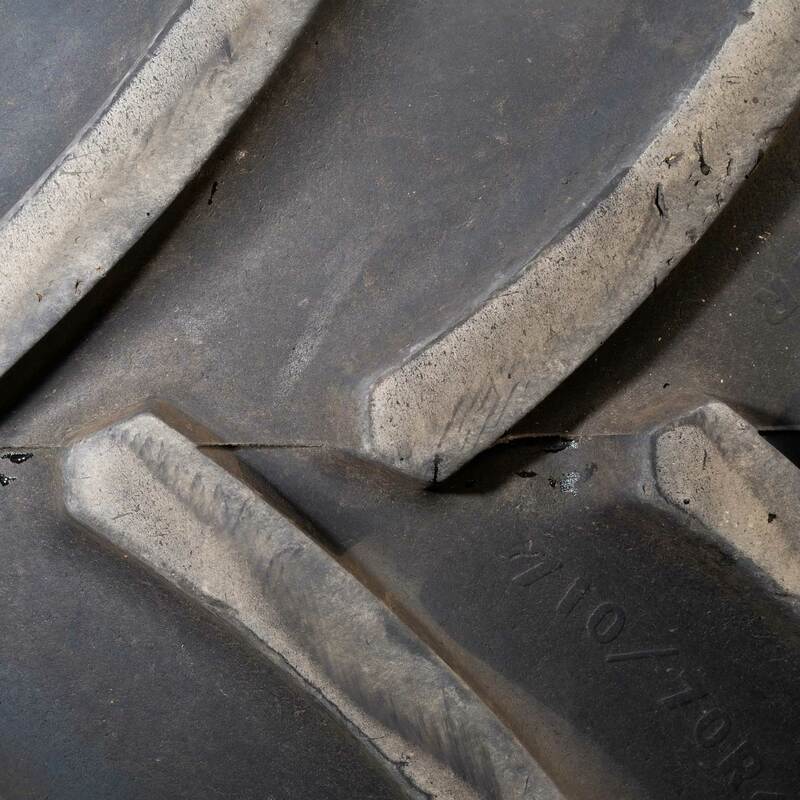 Tire tread bars show signs of uneven wear but are still fairly even on both sides. Not very noticeable. 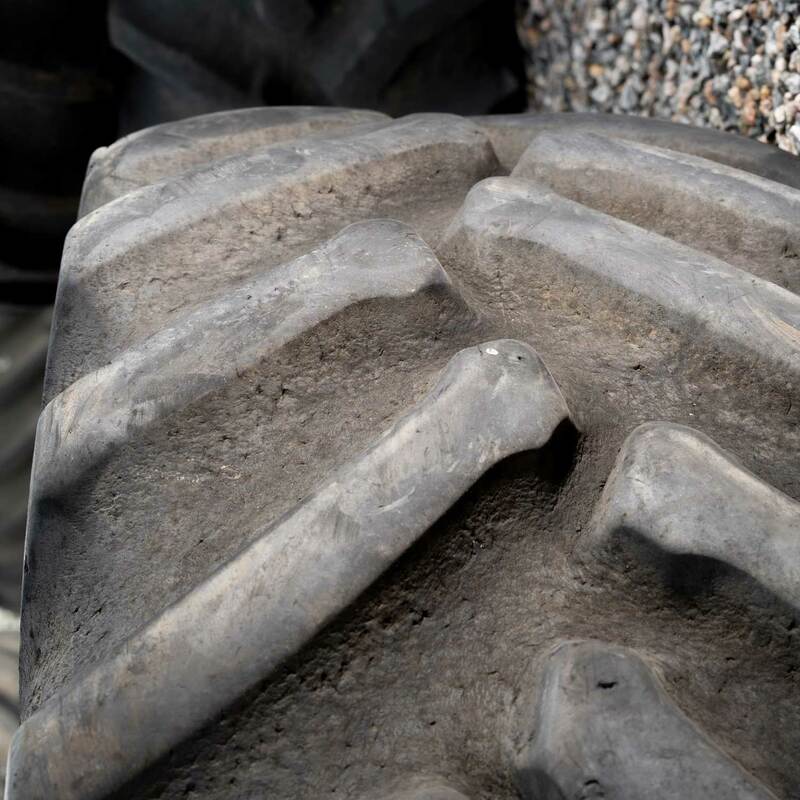 Tire tread bars show uneven wear that is more prominent on the back side of the bars or on one side of the tire more than the other. 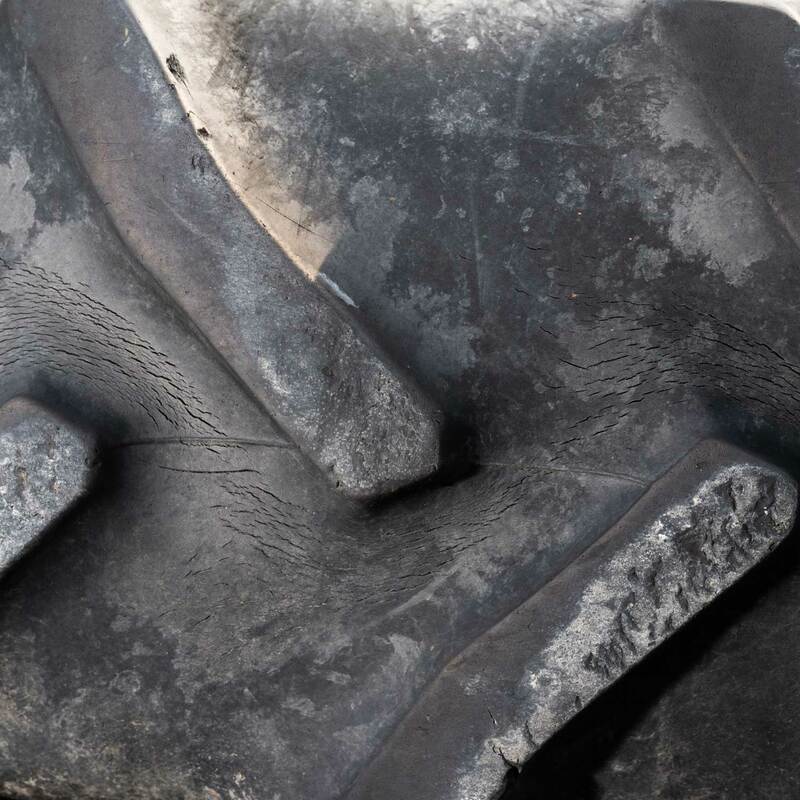 Tire has obvious uneven wear with the back side of the lug wore at a definite angle, or one side of the tire is worn down substantially more than the other. 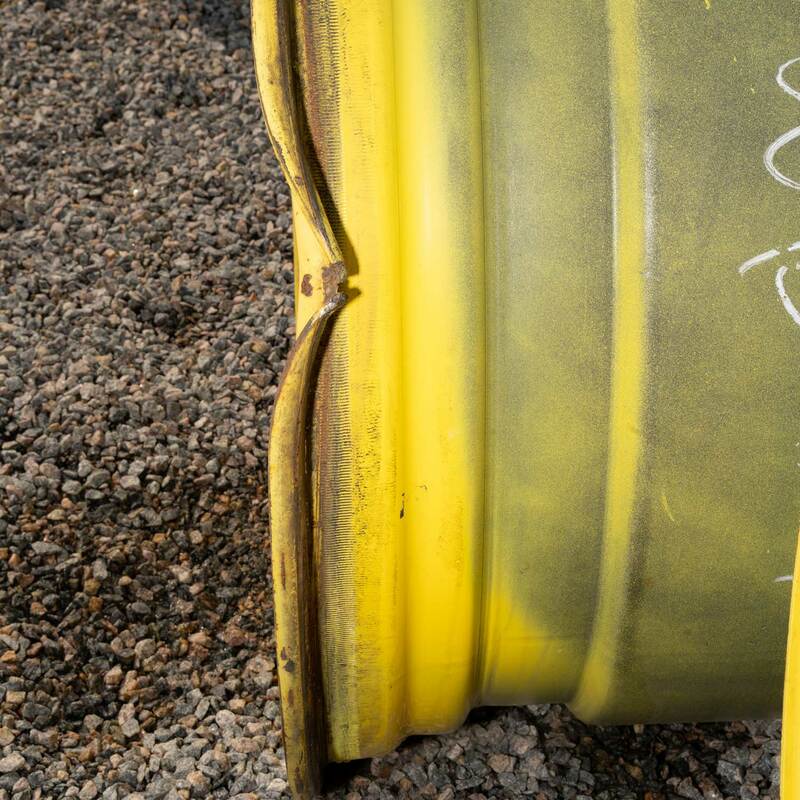 Tire tread bars are worn very unevenly. 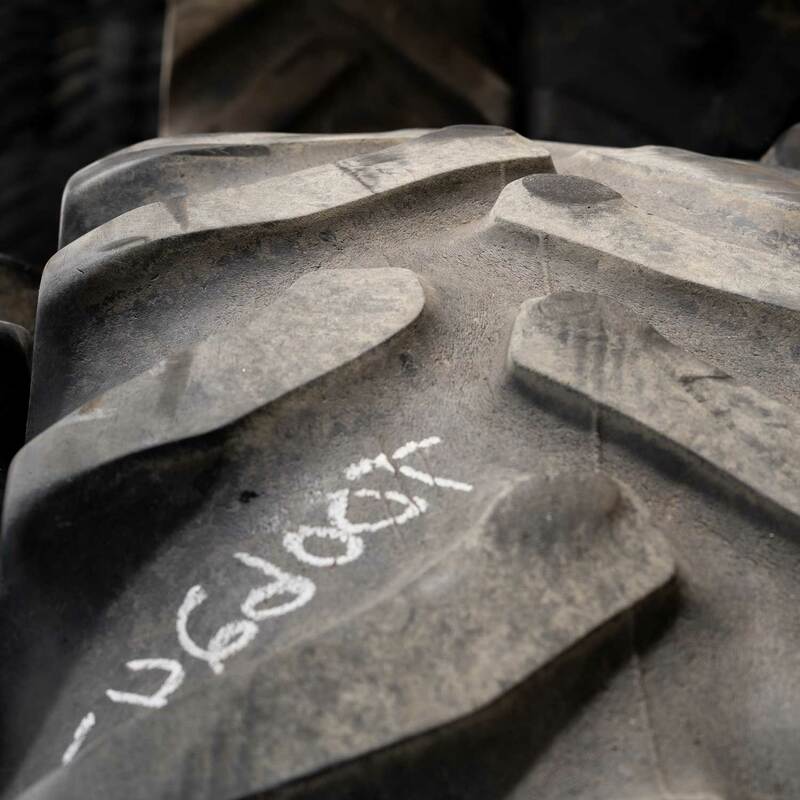 The back of the lugs are worn down almost flush with the casing, or one side of the tire or tread bar is almost wore off with more than 50% left on the other side of the tire or bar. Very rusty with major repairs or repairs needed. Bolt holes are wore or cracked. Even if repainted, the wheel would look rough. Repainting needed or has obvious repairs. 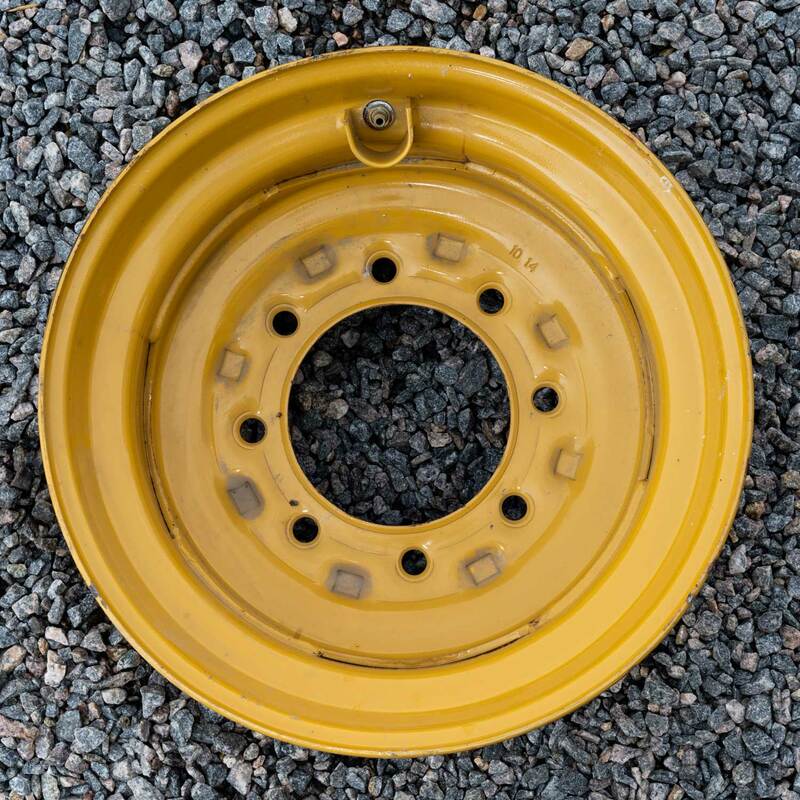 Still a solid, useable rim. Average condition. Can use as is on older/high hour tractors. May need repainting. Could be used on newer machines without repainting but will not pass as new. New takeoff or refurbished. Could be used in place of new.